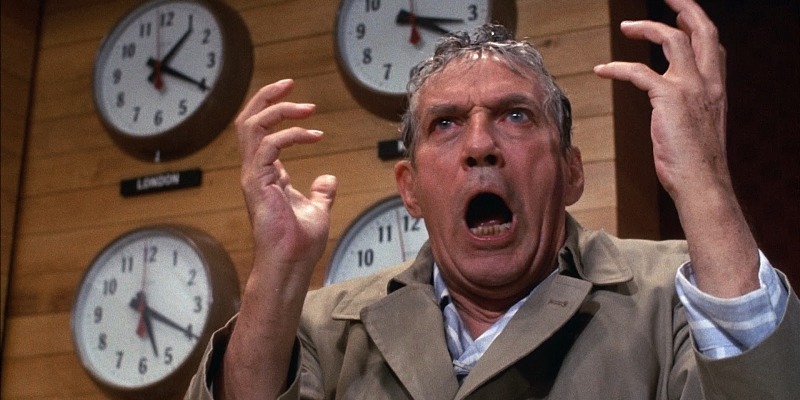 The life and career of long-serving news anchor Howard Beale (Peter Finch) has taken a downward slide recently after his wife left him and he sank into drink, and his once high ratings have fallen to the point where his network, UBS, is forced to let him go. After being told he has just 2 weeks left on the air Howard broadcasts that in a week he will kill himself, live and during his show. Understandably he is immediately taken off the air by Frank Hackett (Robert Duvall), a rising executive surreptitiously taking over UBS from the inside, however Howard’s best friend and manager Max Schumacher (William Holden) is able to allow Howard one last show, for a chance at a dignified farewell, which Howard takes and runs with, instead offering up some frank and hard truths the general public eats up. Diana Christensen (Faye Dunaway), UBS’ new head of programming, sees potential in Howard’s popularity, and adapts his news show to suit, but what is more the important, the ratings or their host’s sanity? Gordon Bombay was a child hockey prodigy, with both the talent and ambition required to make it all the way. What he lacked, however, was the ability to thrive under the intense pressure applied by the coach of his team, Jack Riley (Lane Smith) of the The Hawks. After missing a vital shot (“You miss this shot; you’re not just letting me down, you’re letting your whole team down!”) and providing the Hawks with their only second place banner in history, Gordon gave up on the sport and became a successful lawyer, whose arrogance and underhand tactics were not overly appreciated by the courts or his company. When his latest case gets Gordon reprimanded he goes out drinking and gets himself arrested for driving under the influence. In order to keep the firm’s name from being dragged down with him, Gordon is instead sentenced to community service, teaching hockey to the local District 5 team, whose very first game happens to be against the Hawks, still coached by Jack Riley. Will Gordon learn to be a team player? Will his past love of hockey break through his frosty exterior? And will he be able to instil these hopeless kids into a formidable sporting team? It’s an early 90s kids sport film, what do you think?